yep a good one. need this laugh its cold in New York. 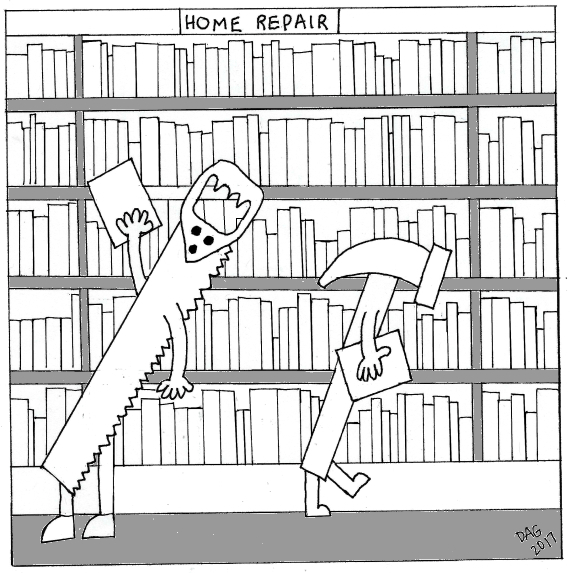 I doubt there is a home repair book for that. What a novel approach to doing a little spackling! Hmm, seems as if they are not on the same page.